Wondering how to be more mindful with a new baby in your life? Check out two more ways to pray – all day long and up all night – and the complete series on spiritual practices with newborns. When your baby’s screaming reaches ear-splitting levels, take a deep breath and think of all those throughout the world who are crying out in pain and fear and sadness right now – victims of violence, war, and abuse. Try to imagine what it must be like for God to hear all these cries at this very moment. Pray for your heart to be opened to the cries around you. 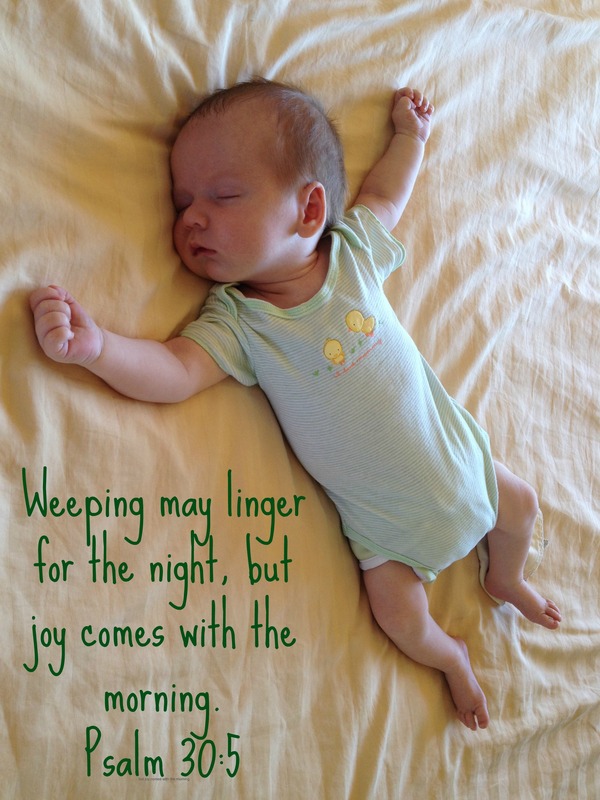 When your baby wails and wails, in the middle of the night or for hours in the afternoon, remember all the babies whose cries will go un-comforted today. 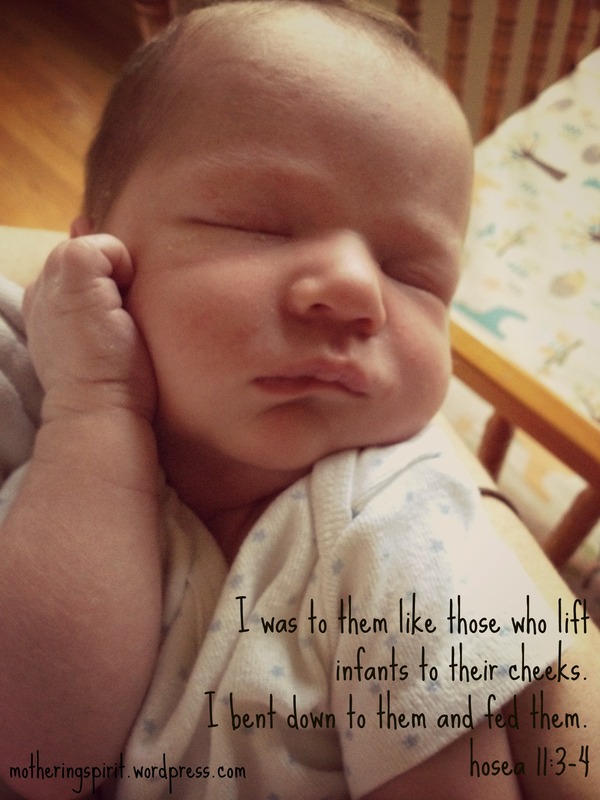 Pray for babies who are abandoned, abused, or neglected. Pray for children who lack food, water, shelter or safety. Two are better than one, because they have a good reward for their toil. For if they fall, one will lift up the other; but woe to one who is alone and falls and does not have another to help. Again, if two lie together, they keep warm; but how can one keep warm alone? And though one might prevail against another, two will withstand one. A threefold cord is not quickly broken. Make a mental list of all the people who have helped you through pregnancy, birth, and life with a new baby. Family, friends, doctors, nurses, midwives, doulas, moms’ groups, or babysitters. People nearby who helped in everyday ways and people who supported you through thoughts and prayers from afar. Each time you feel overwhelmed during the day by how much you have to do to care for baby, remember one of the people who has helped you. Give thanks to God for their generosity and thoughtfulness. Imagine how you might be able to help someone else in their time of need – even and especially with your prayers while your hands are full. Next time: how to pray with baby – in peaceful moments! This just blessed my 3 month old son & I and I have shared it in the mom groups I am in on Facebook So humbling!